This DeLorean Actually Floats | OhGizmo! By David Ponce on 10/27/15 • Leave a comment! 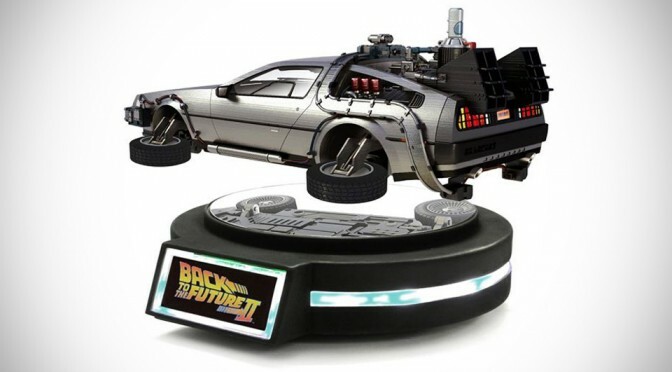 Back To The Future day is now forever behind us, but the movie’s spirit and magic lives on. 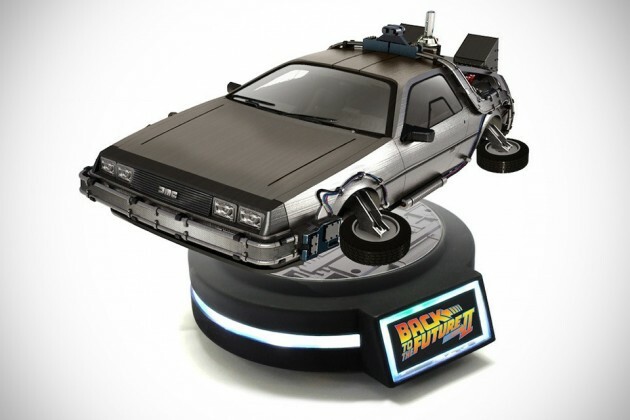 So we wouldn’t be surprised to see this 1/20 scale floating DeLorean sell out rather quickly. It’s an officially licensed collectible that uses an array of magnets to float above its base. – Delorean Time Machine Back to the Future Part II. – Changeable wheels (two sets) for normal scene and flying scene. Of course, whenever you see the word ‘collectible’, you know you have to prepare for a hefty price tag. This toy is no exception, since you’ll have to pony up $195 as a pre-order to get yours. And then wait until Q2 2016 to actually get it.